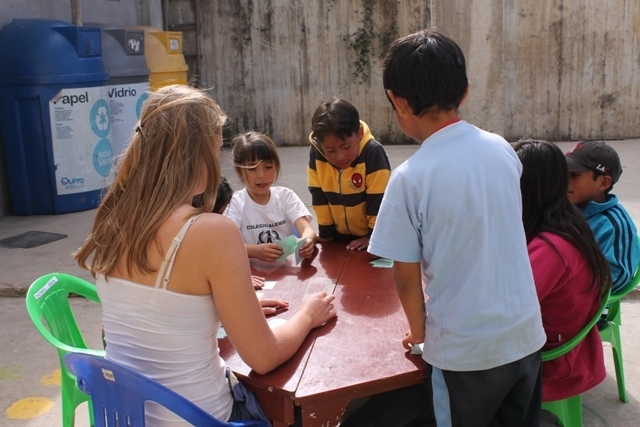 In May we initiated an English project in collaboration with other volunteers because we noticed that even though the children learn English in school they do not unfortunately, bring a significant amount of that knowledge home. 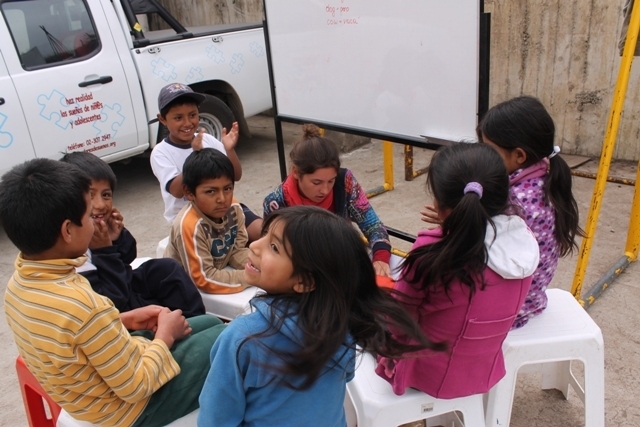 We decided to help the kids with one class per week, a different group each day, separated by their age. Our goal is to strengthen their vocabulary and to teach them that English isn’t just some words put together, but a complete language which you can use to communicate internationally. It is also important for us to have fun learning the language. 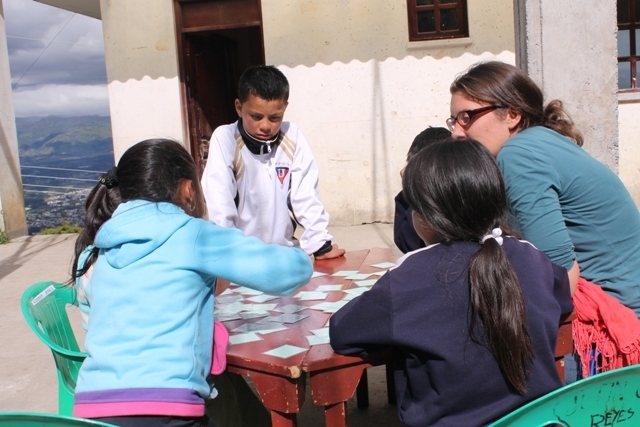 Each day we sit down with 6 to 8 kids for 45 minutes, playfully learning and revising. 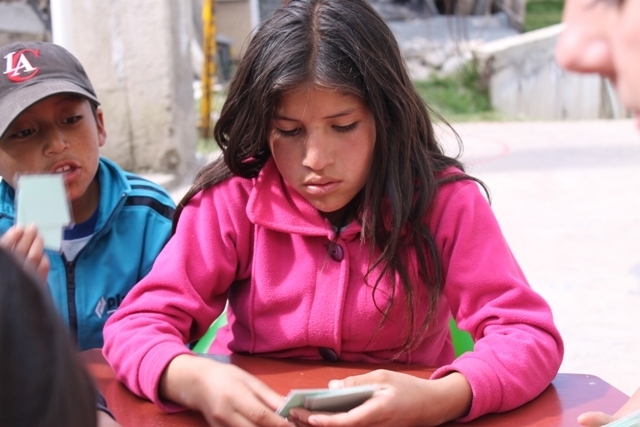 The lessons consist in learning by playing a game of memory or singing a song, learning basic vocabulary like colours, numbers, verbs, the alphabet and rehearsing short dialogues.